I cannot fault the car nor really our collect and drop experience at Malaga airport last September. My 1 star review is because I was mis-sold a product I didn't want or need - no doubt, along with many others. I took out separate excess damage insurance in the UK before we left for Malaga. Breakdown cover is included in the standard hire agreement so I didn't need that, however, on arrival at Malaga airport collection point, the agent told me that it wasn't included and refused to provide me with any vehicle breakdown telephone number. The only way he would provide me with a phone number was if I took out additional breakdown cover at a cost of €40. I protested but I was not prepared to leave for our 10 day tour without any access to a phone number if we got into mechanical trouble. When I returned home, I was able to confirm that breakdown cover is a standard inclusion (despite being told that it wasn't) so I have spent the last 5 months arguing my case including via the UK European Consumer Bureau, only to discover that this appeal resource has no enforcement "teeth"- and Centauro continues to refuse my appeal thus, condoning this mis-selling activity. 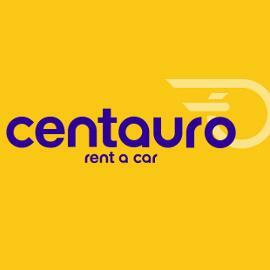 By the way, I booked the car through Argus car Hire who also wanted nothing to do with my claim and merely pointed me back to Centauro. 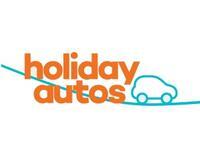 Thank you for taking the time in leaving your feedback of your car rental experience with us. As our customer service department explained to you via email, the extra Road assistance is an extra we offer to customers, so in the case of needing road assistance that isn´t related to engine failure then the service will not be charged ( changing a tyre, jump starting the car). The basic road assistance is included in the rental price. This extra cover is to give the customer full peace of mind when travelling, knowing that in any event the road assistance is covered in full. Our staff explained you carefully this on arrival, abd we feel that all procedures were carried out correctly. Can you explain why your agent refused to give me any phone number in the event of a "basic assistance" breakdown? Had he done that, I would not have taken out the extra cover - and I made this very clear at the point of my initial complaint to you last October. This is the whole essence of my complaint. Its not about different vehicle breakdown inclusions or exclusions. I continue to believe I was pressured into buying an extra service I didn't need. 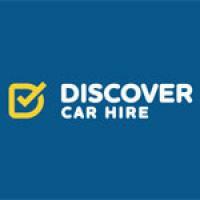 Thank you for sharing your rating of your car rental experience with us. a result of a technical failure in the vehicle. Our staff offered you the Road assistance extra on arrival, which covers this service regardless of the reason, and you accepted to add it to your rental as stated in your initial contract. We feel that all procedures were carried out correctly.